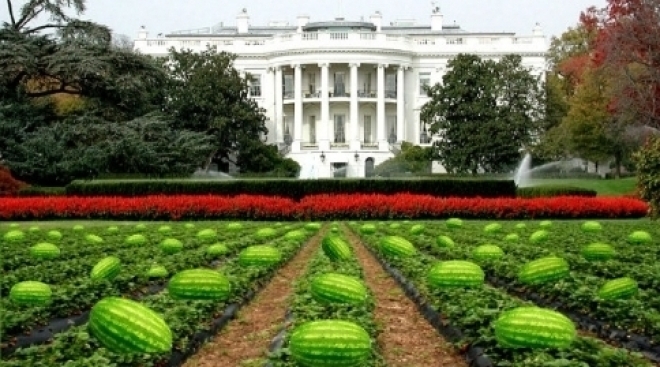 LOS ALAMITOS, Calif. -- The mayor of this small Orange County city said Thursday he will resign and didn't mean to offend anyone when he forwarded an e-mail picture of watermelons on the White House lawn under the title "No Easter egg hunt this year." Los Alamitos Mayor Dean Grose said in a statement he received a shared e-mail last Sunday and forwarded it to a small group of friends, an action he now regrets. Grose said he didn't mean to offend anyone and was unaware of the racial stereotype that black people like watermelons. Local businesswoman and city volunteer Keyanus Price, who is black, said Tuesday she received the e-mail from Grose's personal account and wanted a public apology. The Orange County Register first reported the e-mail on its Web site Tuesday night. Yesterday, the paper reported that police had received a call about a watermelon smashed outside of Grose's office. Grose apologized to Price and said he didn't mean to offend her. He said he and Price are friends and serve together on a community youth board. He said he and Price had exchanged e-mail jokes in the past and he never intended to cause her any discomfort or embarrassment. He also said the controversy has affected his ability to lead the city and will step down at the City Council meeting March 2. The soon-to-be ex-mayor said he has sought assistance from a county human relations committee to teach him how to be more sensitive. Los Alamitos is a 2 1/4-square-mile Orange County city of around 12,000 people. The mayor is elected by fellow members of the five-seat City Council.